Santa Jerry's comin' and you know the fat man is gonna rock! Whoever gets this Christmas card will keep it for sure! Officially licensed Grateful Dead - Jerry Garcia merchandise. 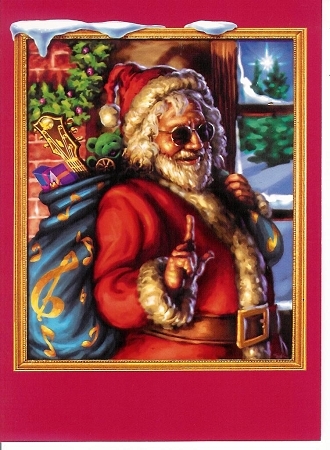 Love Jerry Garcia Christmas cards! They are groovy. I loved the card! Who wouldn't love a Holly Jolly Jerry for Christmas? !